I was responsible for the map creation and integration. The layout was developed and refined by Alexander Jolley (Alexkazam). 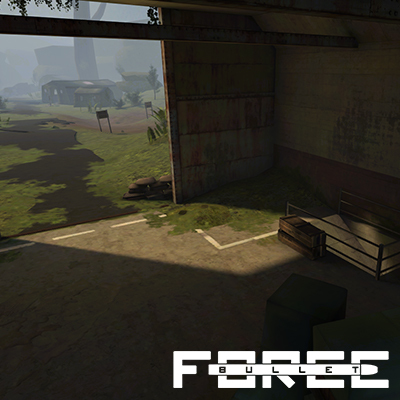 Our aim was to create a competitive mulitplayer map for Forward Assault. The map was mady by using the "quadrant texuring" technique, mixed with conventional texture atlasing. To optimise performance, the map is only using 2 shader types.